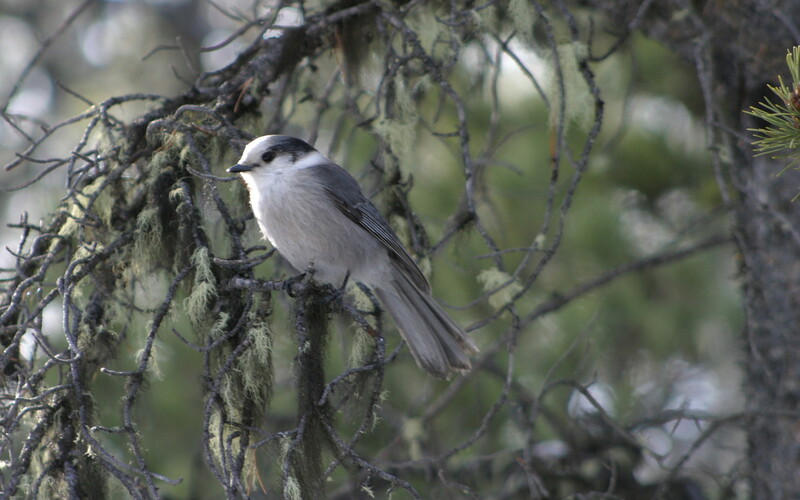 Canada’s National Bird: The Grey Jay! It may or may not be news to you, but for the past while, Canada has been searching for a national bird. Starting with forty contestants, then narrowing down to 5, it has been an intense period of voting on exactly which species to choose. The decision to have a national bird is (another) way of celebrating Canada’s 150th anniversary, which is fast approaching. In the end, the five finalists were voted on by the public, but the winner was decided by a committee with members from the Royal Canadian Geographic Society. 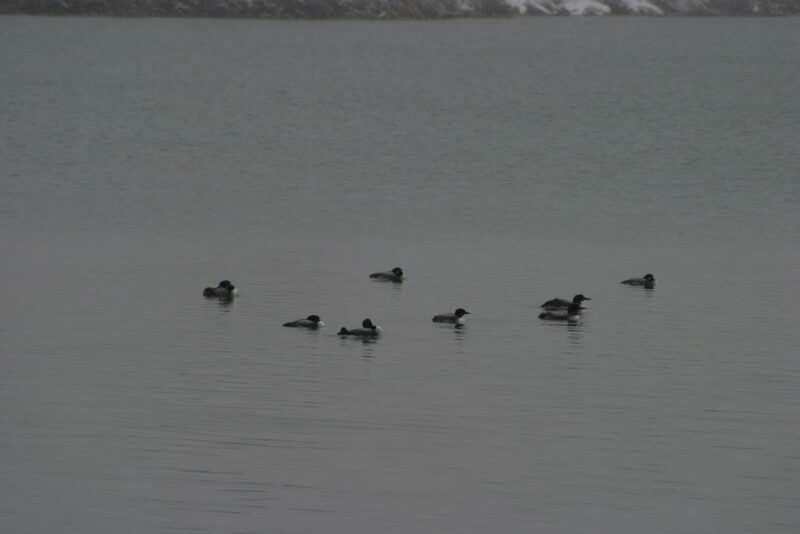 At the end of the voting period, the Common Loon had the most votes, followed by the Snowy Owl, and then the Grey Jay. The other two contestants were the Canada Goose, and the Black-capped Chickadee. Unfortunately for the owl, loon and chickadee, they had all been claimed already as provincial birds. 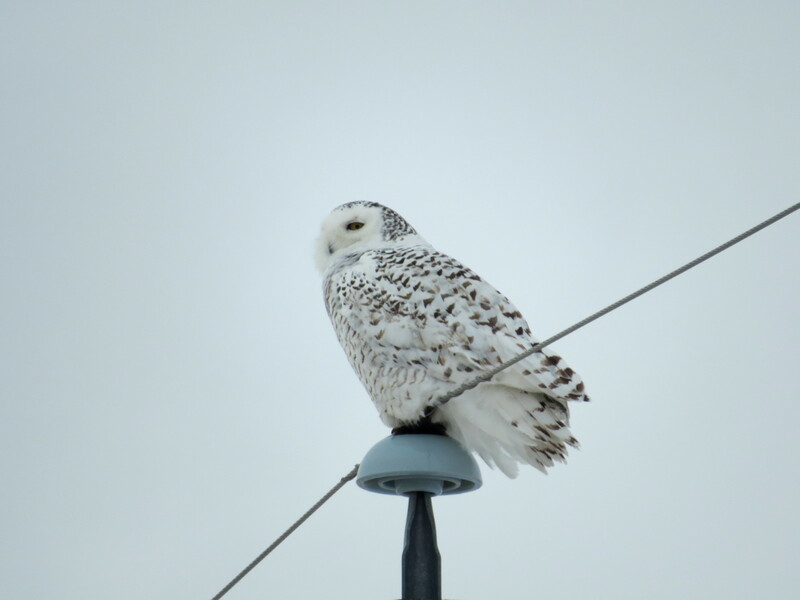 The Snowy Owl in Quebec, the Common Loon in Ontario, and the Black-capped Chickadee in New Brunswick. This, according to the deciding committee, ruled them out. That left the Canada Goose and the Grey Jay. The Jay has a lot going for it in that battle. 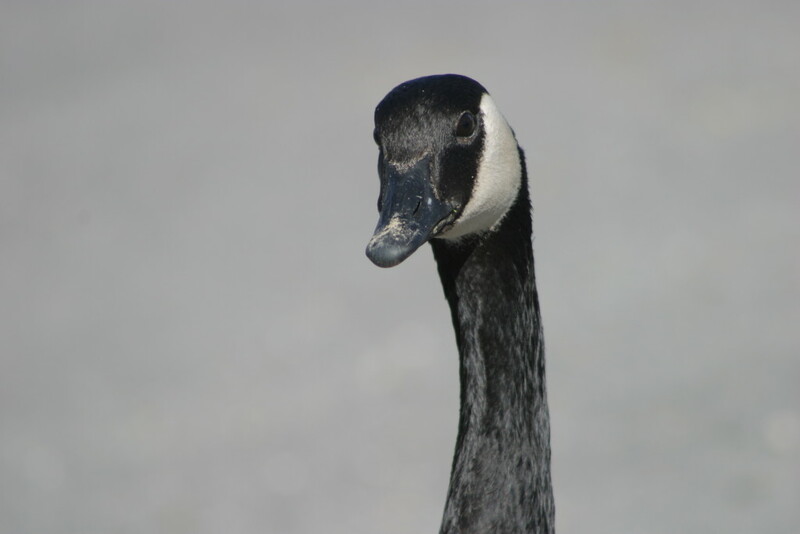 The Canada Goose is despised in many places, by many people. It is considered a pest; it eats crops, spoils public parks, and, to top that off, has a renowned bad temper. Is this the bird that Canadians want representing them? Frankly, it goes against the current public view of us as a kind, gentle group of people who couldn’t be temperamental if we tried. That is a bit of an exaggeration, but it conveys the general idea. The Grey Jay, on the other hand, is a hardy little songbird, braving the north cold, and storing and remembering vast numbers of caches. It comes across as cute, intelligent and yet still tough, perching on your hand to take a seed while its mate devours a vole, or insect. Oh, and it was called the Canada Jay for over two hundred years. 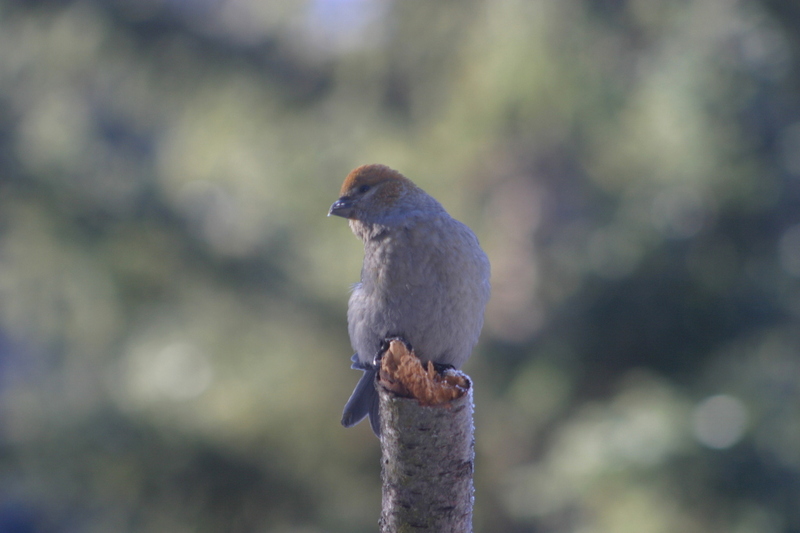 Although I personally would have chosen the Pine Grosbeak, I believe that the Grey Jay, or Whiskey Jack, is the best choice out of the five contestants. Tell me what you think in the comments! This entry was posted in Bird Behaviour, Bird Feeding, Bird of the Week, Birding Events, Birds, Other, Passerines, Raptors, Sound of the Week, Waterfowl on November 21, 2016 by BirdBoy. 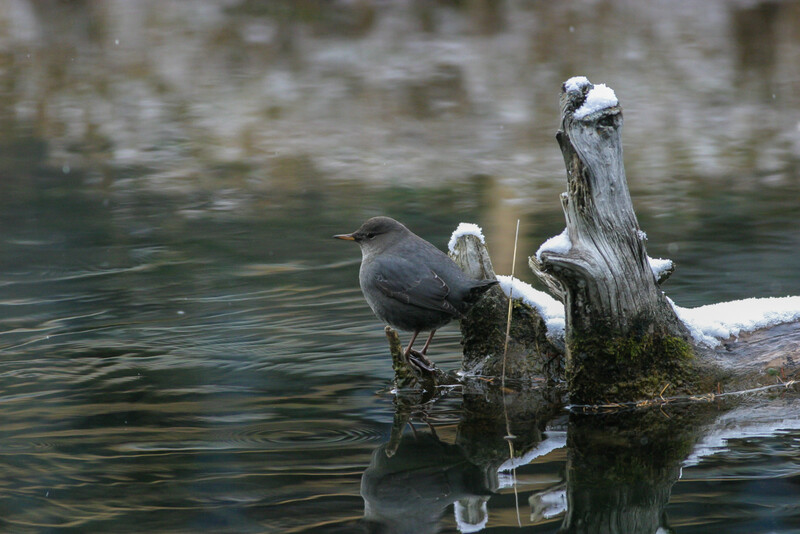 One of a record 4 American Dippers on my local creek. This entry was posted in Bird of the Week, Birds, Feathers on Friday, Passerines, Sound of the Week on November 18, 2016 by BirdBoy. 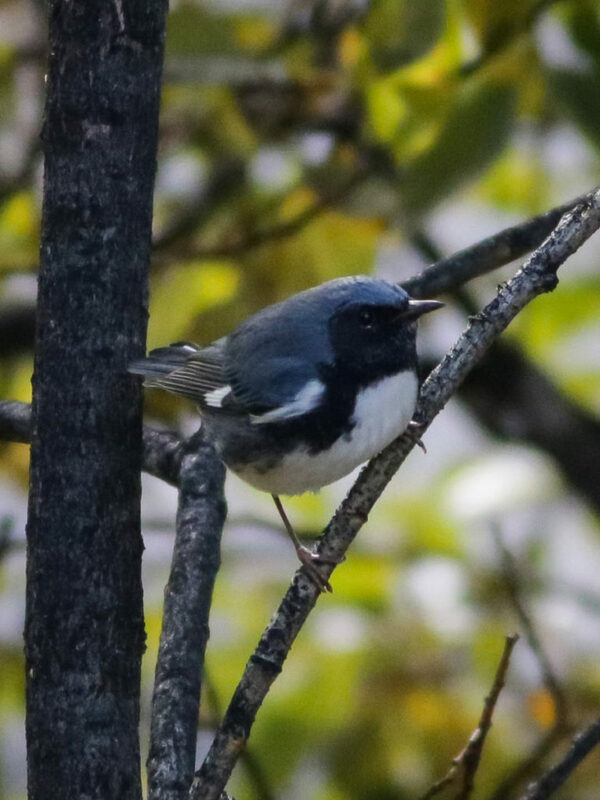 Black-throated Blue Warbler and is really a south-eastern species, having between 15 and 25 official reports in Alberta. A few people have been over to see him, but all these photos are mine. Here, it’s bending it’s wing over its back to get past a close tree branch as it flies. This entry was posted in Bird Behaviour, Bird Feeding, Bird of the Week, Other, Sound of the Week on September 26, 2016 by BirdBoy. I’m sitting here in shock. Looking through the photos, checking Sibley’s, looking at the photos. There’s no doubt that I saw what I immediately identified. I just still can’t believe that it’s over here. Back it up. I had just been out for a walk along the best birding areas in Canmore, but I hadn’t seen much. Instead of turning home with a book full of warblers and thrushes, I had a few Mallards and an American Crow. 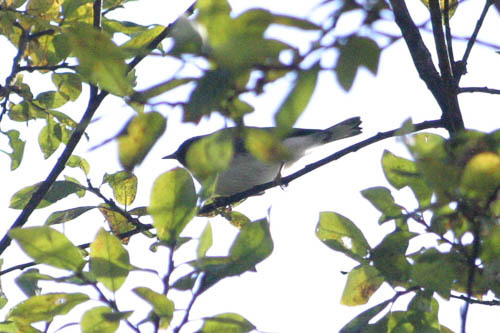 I turned into my yard and saw a Ruby-crowned Kinglet, and then another, and a third. 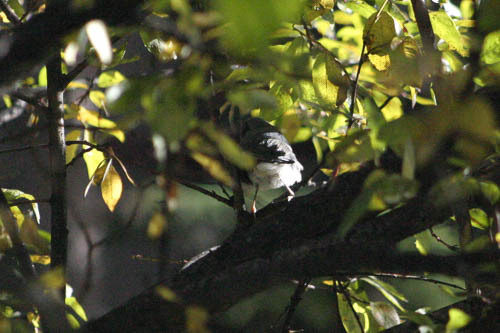 Kinglets are tiny and bounce around a lot, and it was while I was watching them that something else flew into the large bush. I looked over, expecting to see a Dark-eyed Junco, or a White-crowned Sparrow, and instead see a stunning, male warbler. And not just any warbler. 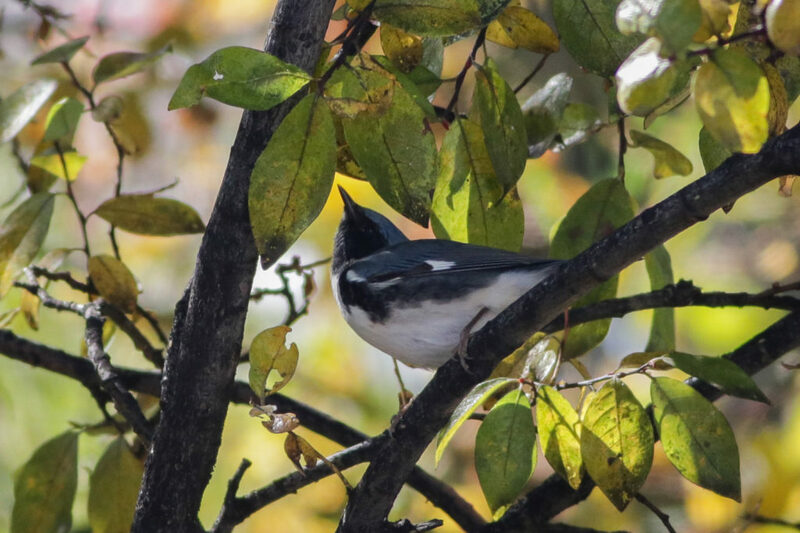 A Black-throated Blue Warbler. Of course, as I maneuvered around the cars and trees (yes, they were that close together, this is Canmore) I was thinking about this eastern species. Suddenly I remembered. If you see a rare bird, especially one like this, you take a photo to confirm it. 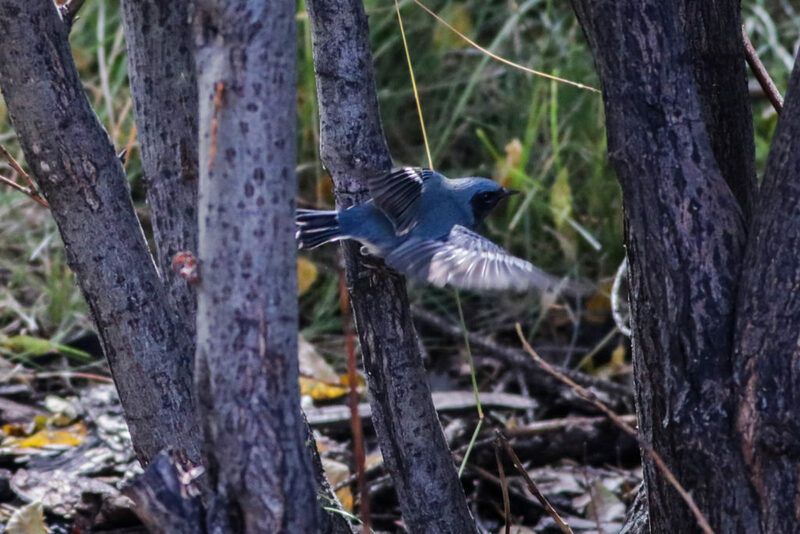 It naturally flew away very soon after that thought and I was left with forgetfulness to blame for my few snatched photos as it hopped around on the other side of the bush. So, I’m sorry that I can’t give you better shots, but I will try again today, if I can find it. 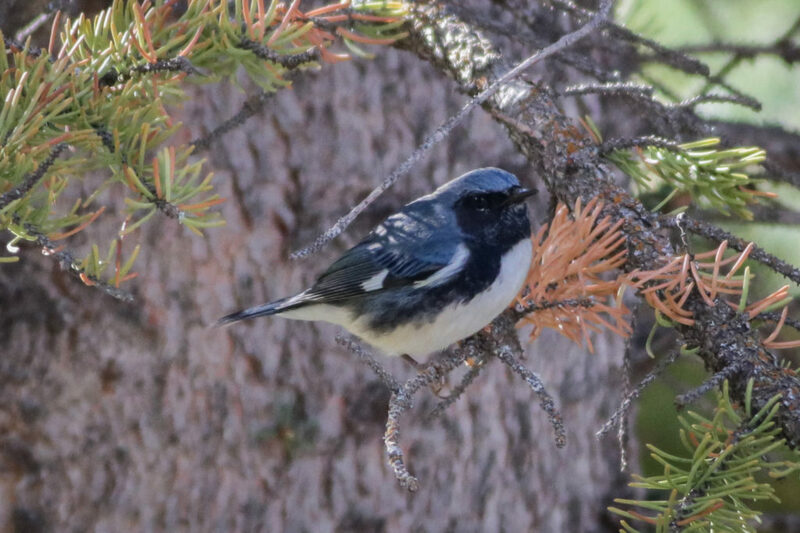 A Black-throated Blue Warbler is quite the find in Alberta, never mind in this little mountain town. And, of course, in my own yard. This entry was posted in Bird Behaviour, Bird Feeding, Bird of the Week, Other, Sound of the Week on September 24, 2016 by BirdBoy.